Hello! My name is Bri and I would love to share my style story with you. After many years in conservative corporate environments, I became adept at styling myself professionally while adding elements of my own personal style into my outfits. Throughout my corporate career, I indulged my passion for styling and fashion by continually enjoying part-time retail work on the side. I became an expert at how to style customers of all ages, budgets, lifestyles and body types. Upon my move to Denver, I totally reevaluated my career path and became a Personal Stylist at a popular women’s retail store. Customers came to rely on the easy way I established rapport and understood their styling needs and desires. I quickly became a trusted and requested stylist for over forty clients. My clients especially loved how I inspired their style throughout exciting life transitions such as new professional endeavors, healthy weight loss, new babies, and transitions out of the workforce. Now my expertise is available to you! Whether you are looking to revamp your entire wardrobe, need a seasonal refresh or want brand new outfit combinations with what you already own, I am happy to help. Your experience will be custom tailored just for you in order to best meet your own personal goals, budget and lifestyle. I am confident that you will be delighted with my services and I look forward to working with you. You will be guided through your closet piece-by-piece via the BriStyles 5F System. All items that do not meet your style goals, inspirations and lifestyle will be donated or consigned. We will identify gaps in your wardrobe and, if you'd like, make a plan to fill in those gaps via a Wardrobe Rejuvenation shopping trip. Rejuvenate your wardrobe with a personalized shopping trip that meets your style goals and budget. 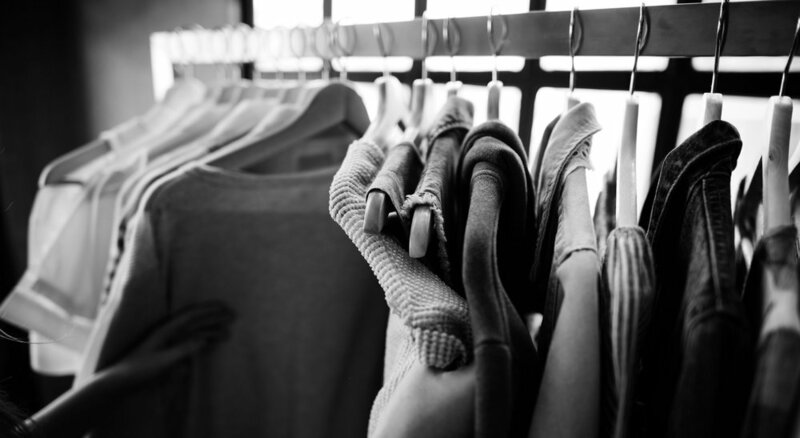 Enjoy a Wardrobe Rejuvenation after your Closet Renovation OR when planning for an upcoming change of season, event, or vacation. Shop what you already have in your own closet with a Wardrobe Inspiration session. You will receive 25+ complete looks with your existing pieces all for the price of one brand new outfit. Create a custom Wardrobe Evolution Package from the services above. You will enjoy 15% off a completely tailored experience that perfectly meets your style and wardrobe goals. Maintain your style with a 2 hour Wardrobe Rejuvenation shopping trip OR customized BriStyles Box delivered to your home twice per year. You will receive at least two complete, mix-and-match looks each time that integrate key seasonal trends that work within your existing wardrobe. Each service above includes a BriStyles Style Sheet that assesses your style goals as well as a phone consultation with Bri prior to your services. let’s chat over a latté! To learn more or request a service package that's right for you, please call 612.385.4558 or email BRISTYLESDENVER@GMAIL.COM and let’s start a conversation.